Jane Meagher – Never apologize for what you had to do to survive. For some people just living is an act of courage. Valerie Thompson, President, Manitobans for Human Rights. I celebrate the day I phoned Jane Meagher and asked her to consider joining the Board of Directors with Manitobans for Human Rights. I learned very quickly that Jane is highly intelligent, expresses herself with great clarity, and has obviously learned a lot from her life experiences. More than all of this it is the extent of Jane’s passion and commitment that enables her to really stand out. Jane is a born leader who thrives towards positive change in this world. Jane Meagher (pronounced Mahar) has had a challenging life. Jane had to juggle career and motherhood whilst battling mental illness and addictions. Jane is a fighter and has been an inspiration to many people dealing with trauma, addiction, and homelessness. Today, Jane is the Director for Mental Health and Addiction with Manitobans for Human Rights (MHRI), the Founder of 100 Women Who Care Winnipeg, a philanthropic organization that raises money for Winnipeg charities and provides One-on-One Confidential Counseling for people fighting Addiction. Jane is a creative thinker and entrepreneur with over twenty-five years experience designing and implementing training programs and working with people with Addictions. She is a compassionate and dynamic facilitator, and a supportive and solution driven counselor, as her testimonials will reflect. What is Complex-Post Traumatic Stress Disorder? Complex-PTSD or complex-trauma is relatively new in the field of psychology and explains the behaviors and complexity of individuals who suffer long-term stress from trauma. This usually occurs in childhood but can also be applied to people who have been captive for long periods of time. Complex-PTSD changes how people cope with everyday life. It prevents people from trusting anyone. It usually leads to some form of addiction which can lead to homelessness, incarceration, and suicide. Jane has complex-PTSD and is a recovering alcoholic addict with fourteen years of sobriety. She speaks from personal experience about this common, complicated and often misdiagnosed mental disability. This seminar is for groups or a Keynote Speech. Jane has recently designed a current, inspiring half-day leadership workshop to give individuals the skills to be comfortable and confident in their own skin. They will be able to make positive choices as the leader of their life, and the ability to lead by positive example, be it in the workplace or in any situation they encounter. I was impressed and inspired by Jane’s presentation on leadership. It was thought-provoking, challenging and left me with tools I use on a daily basis. We recently hired Jane Meagher to deliver her new workshop, Leadership Today in a Complex World. We came away with whole-hearted go-forward inspiration, which is just what we needed. Jane nailed it again! 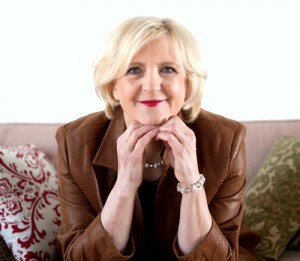 The Buzz Communication Group has previously contracted Jane Meagher to deliver a variety of workshops for our clients. The feedback from our clients has always been beyond positive. Jane Meagher is the consummate coach, but unlike many others, she is a very global and strategic thinker who is equally gifted at not only helping her clients develop effective career and team solutions but also at helping them make those solutions a reality. Jane is an invaluable resource for individuals in their efforts to achieve career and team excellence and justifies my highest recommendations. Keynote Speaking – Jane speaks on the topics of Trauma, Addiction, and Healing from both her personal and professional experience. Talks can be customized to make your event a tremendous success. Contact Jane for bookings and Fees. Jane is a natural leader and motivator, as well as a dynamic public speaker who is able to draw on her past experiences, good and not so good, to teach others the importance of a positive attitude regardless of the adverse circumstances they may be facing. Richard Walls, Board Chair, and CEO, Red Road Lodge Home for Recovery. Jane’s keynote address was spectacular. She had people sitting on the edge of their seats. Jane is a dynamic speaker and trainer, who provides thoughtful analysis, practical direction and hope to program participants. Vienna Badiuk, Agency Producer, Clark/Huot Communications. Winnipeg, New York, and Hawaii. Do not complain about anything you are not prepared to do something about.